It’s an exciting time for JentonAriana, having installed 5 automatic, multi lane food pack convergers in the USA. The machines have been installed into a diversified, innovative and extraordinarily flexible food manufacturer whose core competency is operational excellence in packaged foods for retail and food service channels, providing a wide-ranging, value-added assortment of raw and fully-cooked products for domestic and international customers across all channels of trade. 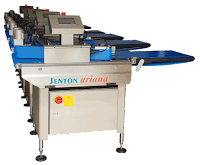 The Jenton Ariana PackLeader BCS Range, automatic, multi lane, food pack convergers, designed to take multi-lanes of fresh food packs, reduce and channelize them to a single lane. It is the most economic solution for converging thermoformed packs into a single line. Automatic food pack converging is now an affordable option for users of smaller thermoformers. Main food applications include red meat, cheese, poultry, fish and fresh produce. 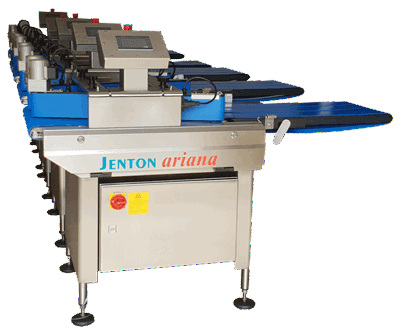 Benefits of the Jenton Ariana Pack Leaders are their quick changing belts, simple HMI system which set speed and food pack separation, programmable memory for pack format changes, direct pack collection from thermoformer, no extra conveyor required, with easy to adjust infeed height, a small footprint (short length) and made with a stainless steel construction offering the perfect product for food industry production lines.